ACUTE LARYNGOTRACHEOBRONCHITIS OR CROUP (ALTB) is a viral infection of the throat. 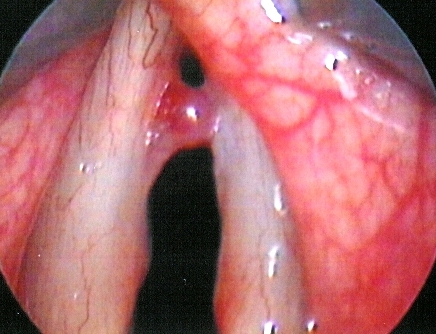 The virus causes swelling of the voice box (larynx) and windpipe (trachea). The swelling narrows the airway and makes breathing hard. Symptoms Most children with viral croup are between the ages of three months and five years old. Croup is most likely to occur during the winter months and early springCroup often begins like a normal cold followed by a harsh and barking cough. PreventionCroup is a contagious disease and can be spread easily from one person to another. If possible, avoid contact with others who have colds and flu. Good personal hygiene such as frequent hand washing helps to reduce the chance of spreading the infection. Always have your child cough or sneeze into a tissue and throw it away immediately. When To Seek HelpCroup can get worse quickly. If your child is having problems breathing, he or she should get medical help as soon as possible. Treatment Medications such as epinephrine or corticosteroids may be given to reduce swelling in the upper airways. Oxygen may also be given, and sometimes a child with croup will remain in the hospital for observation.ADENOIDS AND TONSILWhat Are Tonsils & Adenoids? Tonsils and adenoids are lymphoid tissue in throat. Tonsils are visible at the back of the mouth, on each side. The adenoid is found high in the throat, behind the nose and needs special instruments to see itFunction of Tonsils And Adenoids They act as “policemen” and help to form antibodies to “germs” that enter the nose, mouth and throat. 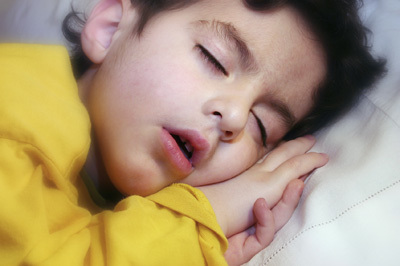 This function may be important in young children up to 3 years old.When Should Surgery (Adenoidectomy/Tonsillectomy) Be Done?Recurrent TonsillitisFrequent acute infections causing high fever and sore throat.Snoring/Obstructive Sleep ApnoeaEnlarged adenoids/tonsils causing nose and throat obstruction to breathing while asleep. If untreated, it may lead to complications involving the heart and lungs.Chronic Otitis Media with Effusion: Fluid in the middle ear causing hearing impairment Peritonsillar AbscessPus forming around the tonsillar bed. Tonsillitis. Interview on FM-93 – Radio Pakistan. The operation is done under general anaesthesia and requires admission to the hospital. Generally, a total of 24 hours’ stay is required. No food or drink after 12 midnight before the operation. No incision will be made on the face or neck. Child should not have fever and cough just before the surgery. If child has any history of bleeding disorder or any previous problems with anaesthesia, it should be brought to the doctor’s attention. The child will be sleepy and may have vomiting from the effects of general anaesthesia. After a few hours, he will be allowed to drink water and eat ice cream. A soft diet is usually given the next morning. There might be slight blood stained salivatio. The child will have a sore throat and dryness of the mouth but this will improve as movements of throat muscles return to normal. Eating and drinking should be encouraged as this will clean the wound and help in recovery. Antibiotic and pain killer are given. The tonsillar area at the back of the throat will have a whitish coating for few days. This is the normal appearance of a recovering wound in the mouth. There is no diet restrictio. During the first week, the child should stay at home. These precautions are to prevent a very small risk of bleeding from the tonsillar beds. As advised by the ENT specialist to prevent complications. is a harsh, rough quality to the voice. Hoarseness is generally caused by irritation of, or injury to, the vocal cords. The voice box, or larynx, is the portion of the respiratory (breathing) tract containing the vocal cords which produce sound. It is located between the pharynx and the trachea. The larynx, also called the voice box, is a 2-inch-long, tube shaped organ in the neck. We use the larynx when we breathe, talk, or swallow. Its outer wall of cartilage forms the area of the front of the neck referred to as the “Adams apple.” The vocal cords are two bands of muscle that form a “V” inside the larynx. Hoarseness can be caused by a number of conditions. The most common cause of hoarseness is inflammation of the vocal cords from virus infection. Hoarseness can also be caused by bacterial infection, overuse of the voice as in singing, inhalation of irritants. Smoking, Cancer of throat, GERD, Tuberculosis, Syphilis etc. Mouth breathing is a serious problem in children of growing age. It may have serious effects on general health and growth. Many seemingly unrelated conditions are related to mouth breathing. Mouth breathing in children should be addressed as soon as possible by consulting an ENT specialist, who is experienced in treating this condition.